A CD & DVD Label design tool allows you to create excellent CD & DVD labels from templates, fast, easy and effective. 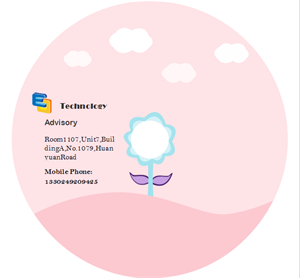 Usually, a powerful featured software requires laborious steps and complicated instructions, and you need long time learning to be capable to manage. Are there any CD label design tools which have desired features but easy to use? 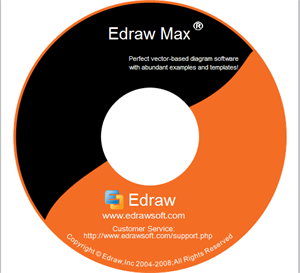 Edraw CD label software will give you the answer. With a Microsoft-like users interface, you will save plenty of time from getting familiar with, and through accurate sized templates, you can just skip the process of setting the size and get focused on your designs directly. There are lots of vector pre-made shapes and clip arts available in use. With a few minutes, you can finish a unique and impressive CD or DVD label. When you finish, you can easily export it to PS, EPS or PDF format, and print instantly. Download a free trial and see first-hand how quickly and easily you can create great-looking CD & DVD labels. Choose Presentation category under Available Templates. 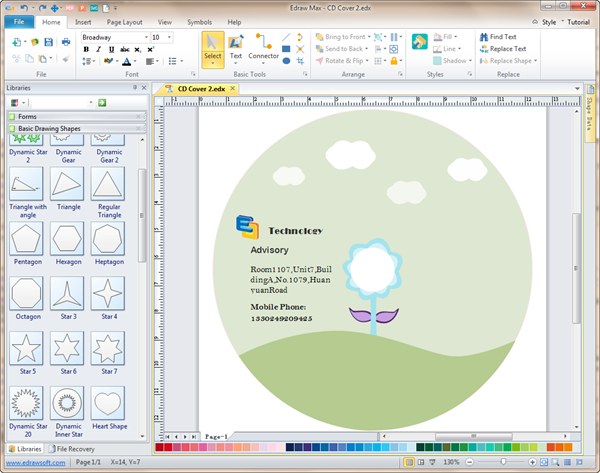 Click the icon of Labels in the Templates window, and you will see a group of CD label templates. 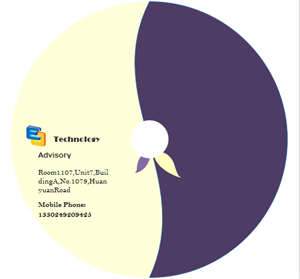 Choose a blank CD label template or any of the ready-made templates, double click to open. Design your own custom labels with graphics, formatted text, pre-made shapes and clip arts, or you can use pen tool to draw any decoration you like. It has included blank CD label templates with standard and accurate size, which will save you a lot of headache of setting on your own. Easy to learn and easy to use. Just drag the ready-made shapes from the library pane and drop them on your page. In just a few minutes you can, without any professional drawing skill, make your own CD labels. 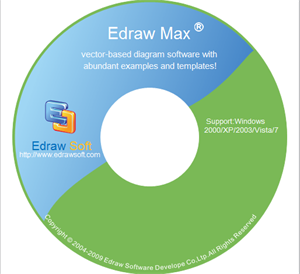 Edraw contains some well-designed CD label examples and templates to assist your designing process. You can download the files and modify them to meet your requirements. A DVD cover template is readily available in vector format. Anyone could download and use for your own designs. A DVD Label template is elaborately prepared in vector format for your own designs. Click the hyperlinked picture to download it.